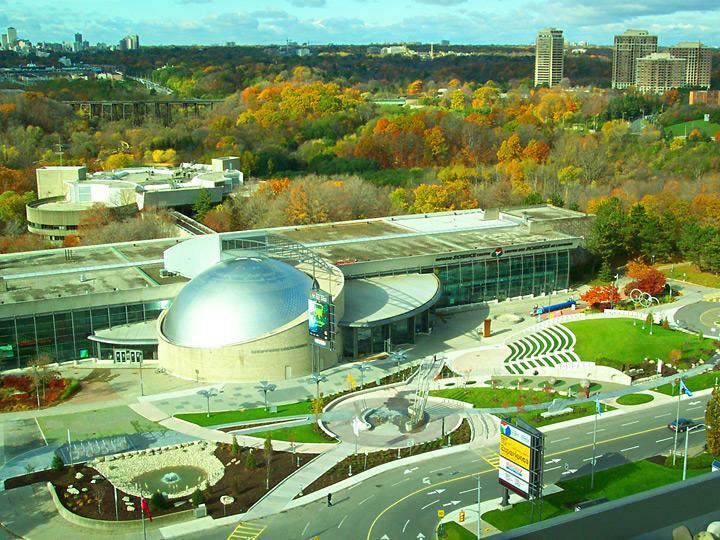 The Ontario Science Centre in Toronto is a very nursing mother friendly place. Moms who prefer privacy to open breastfeeding can use their Baby Care Rooms to breastfeed or breastpump. "The OSC is baby friendly, as I had no problems finding change tables, diaper disposal systems, or nursing rooms. The nursing rooms, called “Baby Care Rooms” aren’t the most comfortable, as the chairs aren’t great for feeding and the rooms are very cold, but at least they’ve got them. There are regular, family, and baby care washrooms near KidSpark which are quite good in terms of cleanliness, some of which are equipped with shorter kid sinks. There are plenty of benches and tables throughout the OSC where you can stop and rest or have a quick drink." "As for stroller access, let me tell you. You have nothing to worry about. Everything is well spaced out and you can easily navigate the stroller to each display and section. Even the men’s washroom had a change table (yay!! your turn Dada!). In addition there are dedicated baby rooms for nursing, diaper changes or just a time out. Plenty of seating meant that this preggo had a chance to sit down and take a load off every hour or so "